The M130 measures air speed and temperature. It is ideal for spot measurements at air outlets on account of its 30mm vane. The M130 is durable, reliable, and easy to use. 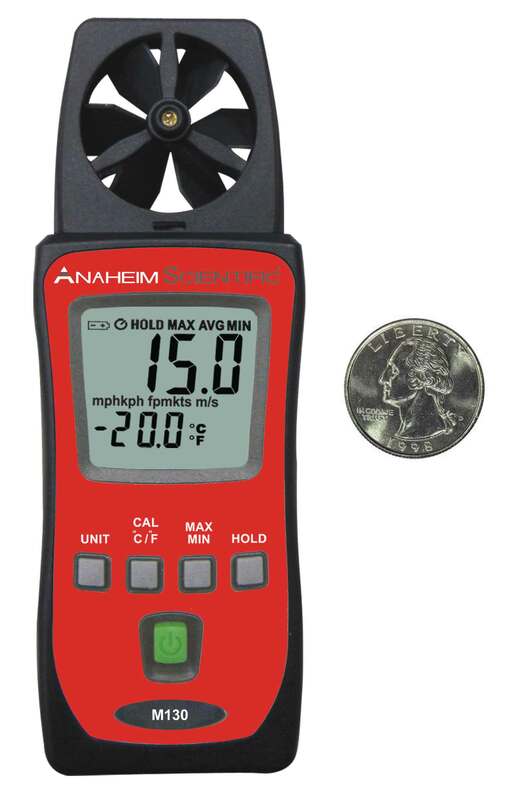 Please click here to contact our distributors directly to find out where to buy the M130: Mini Anemometer.